Our Slumber Core® is designed with 2 down filled inner pillows that run its width and contour to your head and neck for healthy alignment. Surrounded by more fluffy down for comfort and support. This pillow is very nice. It is firm but soft. With the cores it keeps it shape under your head and provides nice support all night long. 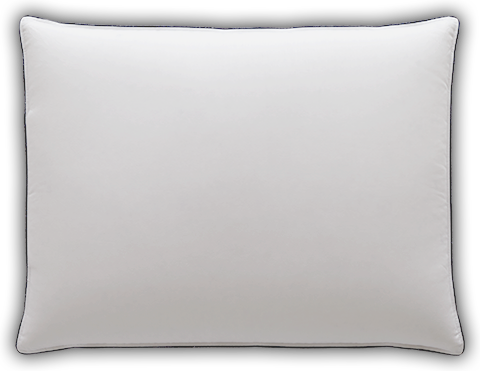 Our Slumber Core® pillow is an all down design with two specially positioned inner pillows which contour to keep your head, neck and spine in alignment. Sink your head into the fluffy, 600 fill power Hyperclean® down and wake up feeling refreshed and relaxed, without any discomfort. Outside the pillow is a cover of 500 thread count, 100% cotton sateen that is both long wearing, satiny soft and outlined in our stylish navy blue printed cording. We’ve simplified the care of our Slumber Core® pillow by making it machine washable and dryable. 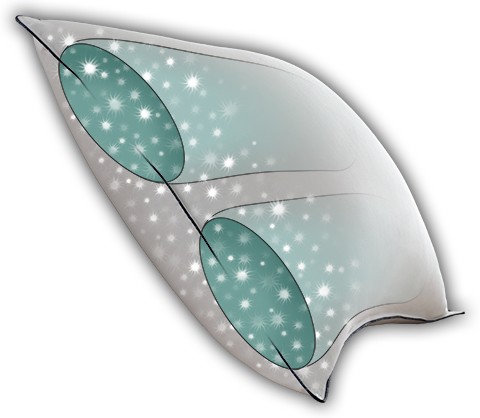 Our patented Slumber Core® design features two specially positioned inner pillows. Each is individually filled with down and runs lengthwise within the pillow forming concentrated down support that contours to your neck and supports your head. The two inner pillows are then surrounded by an extra layer of fluffy down for relaxing, sink-in comfort.